The artist Mathias Poledna will represent Austria at the Venice Biennale in 2013. His selection was announced by Commissioner Jasper Sharp at a press conference in Vienna. Poledna will present a solo exhibition of new work in the Austrian Pavilion. Born in Vienna in 1965, Mathias Poledna has lived and worked in Los Angeles since 2000. His work examines the interconnections between art and entertainment, modernity in architecture and design, the language of film, cinema, and the process of image-making in our culture. Often informed by extensive research, his projects of recent years have taken the form of minimal and highly evocative film installations that suggest a complex tension between their visceral attraction and concepts circulating around them. Poledna’s work is represented in the collections of The Museum of Modern Art, New York; Whitney Museum of American Art, New York; Museum of Contemporary Art, Chicago; Museum of Contemporary Art, Los Angeles; Stedelijk Museum, Amsterdam; Museu d’Art Contemporani de Barcelona; MUMOK, Vienna; and the Generali Foundation, Vienna; among others. To accompany the exhibition in the Austrian Pavilion, a landmark publication examining Austria’s participation at the Venice Biennale from 1895 to today, is currently being prepared. This scholarly, 400-page book will present, for the first time, a comprehensive overview of each individual exhibition, with the help of previously unpublished photographs, plans, and correspondence drawn from public and private archives in several different countries. The book will be launched in May 2013. Commissioner: The Japan Foundation. Curator: Mika Kuraya. The Japan Foundation is delighted to announce artist Koki Tanaka’s representation of Japan at the 55th International Art Exhibition – la Biennale di Venezia, to be held from June to November, 2013, and will present the exhibition titled abstract speaking – sharing uncertainty and collective act, curated by Mika Kuraya, Chief Curator of the Department of Fine Arts, The National Museum of Modern Art, Tokyo. Born in 1975; currently lives and works in Los Angeles. 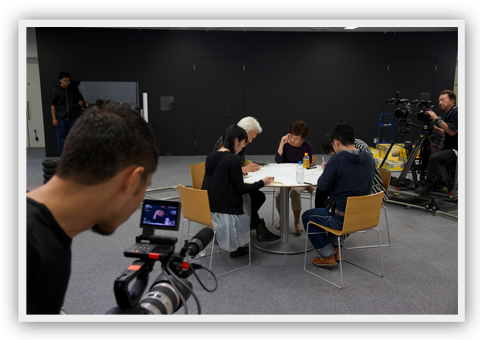 In his diverse art practice spanning video, photography, site-specific installation, and interventional projects, Koki Tanaka visualizes and reveals the multiple contexts latent in the most simple of everyday acts. In his recent projects he documents the behavior unconsciously exhibited by people confronting unusual situations, e.g. a haircut given by nine hair stylists or a piano played by five pianists simultaneously, in an attempt to show an alternative side to things that we usually overlook in everyday living. He has shown widely in and outside Japan: the Hammer Museum (Los Angeles), the Mori Art Museum (Tokyo), the Palais de Tokyo (Paris), the Taipei Biennial 2006 (Taipei), the Gwangju Biennial 2008 (Gwangju), the Asia Society (New York), the Yokohama Triennale 2011(Yokohama), the Witte de With (Rotterdam) and the Yerba Buena Center for the Arts (San Francisco). He will participate in “2013 California-Pacific Triennial” at the Orange County Museum of Art in June 2013. For example, each of us has within ourselves a problem. This problem is our own particular problem, and rarely does it converge with the problems of others. Problems always bring with them pain, and this pain, too, is something we cannot share with others. Things like sympathy and empathy only strengthen the boundary between those who are experiencing pain and those who are not. The vector of sympathy always travels from those who are not experiencing pain towards those who are. It cannot travel in the opposite direction. This is why we should probably explore engagement not through sympathy but through some other means. More than a year has passed since the earthquake and tsunami, yet many problems, including the disposal of the rubble, temporary housing, and the nuclear problem, continue. In the wake of the disaster, a large number of artists as well as architects, musicians, filmmakers and so on traveled to the affected areas to undertake volunteer work, initiating actions that reflected their own creative activities. These were not short-lived responses; rather, they are ongoing. At the Japan Pavilion at this year’s Venice Architecture Biennale, too, one such project will be unveiled. In the first few months after the disaster, the question on the lips of many Japanese artists was, “What can art do in response to this event?” And to this day, I think this question still lingers in the minds of many artists. While some have initiated direct actions, others have tried to respond indirectly by continuing to make art as they did before. Commissioner: Institut Français in co-production with CNAP. Curator: Christine Macel. Construit sur le verbe to ravel qui en anglais signifie « emmêler » et son contraire, to unravel, qui signifie « démêler », entre lesquels a été inséré l’homographe de to ravel, Ravel, en référence au célèbre compositeur français Maurice Ravel, auteur en 1930 du Concerto en ré pour la main gauche, qui constitue ici le cœur du projet d’Anri Sala. Le cœur du projet d’Anri Sala réside dans l’interprétation d’une même musique par deux musiciens. L’artiste précise : « chaque film se concentre sur la chorégraphie de la main gauche s’appropriant l’intégralité du clavier, tandis que la main droite demeure immobile ». Dans ces films Anri Sala poursuit son travail sur l’espace et le son ainsi que sur le langage silencieux du corps. Il propose une expérience sur la différence et le même, dans une œuvre ambitieuse, qui pousse encore plus loin ses recherches de spatialisation sonore. L’œuvre fait autant appel à l’intellect qu’au corps du spectateur, générant une puissante expérience physique et émotionnelle, l’immergeant dans la musique. Anri Sala représentera la France à la 55e exposition internationale d’art de la Biennale de Venise. Le projet, pensé par Anri Sala pour les espaces du Pavillon allemand où il sera exceptionnellement présenté, s’intitule Ravel Ravel Unravel (2013). 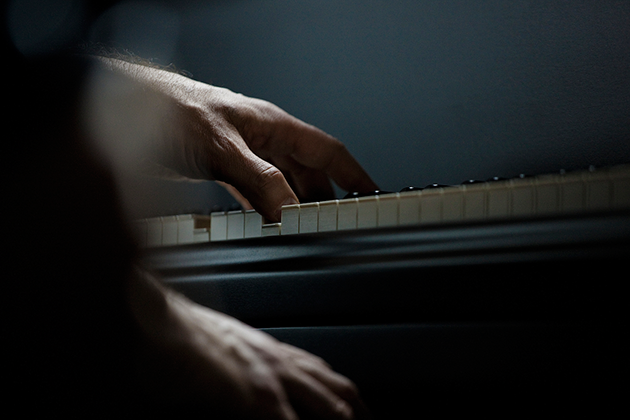 Pour Anri Sala, les espaces du Pavillon allemand s’avèrent riches en possibilités pour son travail sur le son et l’espace. Sans se focaliser sur l’histoire du bâtiment, l’artiste n’en est pas moins intéressé par les résonances particulières que celui-ci et son histoire donneront à son œuvre. Christine Macel, commissaire du pavillon français et Anri Sala ; Susanne Gaensheimer, commissaire du pavillon allemand et les artistes invités – le plasticien Ai Weiwei, les photographes indien Dayanita Singh et sud-africain Santu Mofokeng, ainsi que le réalisateur, scénariste et producteur franco-allemand Romuald Karmakar – ont décidé d’échanger les espaces des pavillons français et allemand à l’occasion de la biennale. Le dialogue international joue aujourd’hui un rôle essentiel dans le monde de l’art, qui se caractérise bien plus par la perméabilité des sphères culturelles que par la rigidité des frontières nationales. Cet échange participe de cette vision d’une culture européenne commune, partie intégrante d’une communauté culturelle globale. On Invitation of Susanne Gaensheimer the German Contribution to the 55th International Art Exhibition – La Biennale Venezia 2013 in the French Pavilion represents works of Ai Weiwei, Romuald Karmakar, Santu Mofokeng und Dayanita Singh. Information about the artists’ work presented at the Venice Biennale can be found here as of May 28. A panel discussion held by the German pavilion at the 55th International Art Exhibition—La Biennale di Venezia 2013 in collaboration with the Goethe-Institut and the Institut für Auslandsbeziehungen (ifa). The German pavilion at the 55th Biennale di Venezia pursues a transnational approach. Due to the French-German cooperation at this yearʼs Biennale, the contribution curated by Susanne Gaensheimer with works by Ai Weiwei, Romuald Karmakar, Santu Mofokeng, and Dayanita Singh is held at the French pavilion. Gaensheimerʼs exhibition examines the format of the national pavilion as an open concept and explores Germany as a cosmopolitan place that is actively involved in an international network, in its art as much as in the realities of its everyday life. In this context, the panel discussion And who are you? National representation in art today engages with the question of the contemporary significance of national representation in art. The speakers are the curator of the German pavilion, Susanne Gaensheimer; the political scientist and Islam scholar Gilles Kepel; the sociologist and cultural critic Mark Terkessidis; and the curator and author Simon Njami. The art critic and curator Koyo Kouoh moderates the debate. Susanne Gaensheimer is director of the MMK Museum für Moderne Kunst, Frankfurt am Main, and already curated the German pavilion in 2011, when her installation of the art of Christoph Schlingensief was awarded the Golden Lion for Best Pavilion. 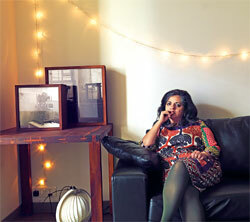 Dayanita Singh is one of the participating artists in this yearʼs German contribution. Gilles Kepel is an islam scholar, sociologist, and political scientist. He has worked on aspects of radical Islam; his book “The War for Muslim Minds: Islam and the West” was published in 2004. Mark Terkessidis is a journalist and writer who focuses on pop culture, racism, and migration; his book “Interkultur” came out in 2010. Simon Njami is a writer and curator of numerous exhibitions of African contemporary art such as “African Remix” (2004–2007); he was also co-curator of the first African pavilion at the 2007 Venice Biennale. Koyo Kouoh was an advisor to the artistic directors of documentas 12 and 13 and is the founder and director of RAW MATERIAL COMPANY, a mobile exhibition space for artistic practices and the exchange of critical ideas headquartered in Dakar. The panel discussion And who are you? National representation in art today is held by the German pavilion in collaboration with the Goethe-Institut and the Institute for Foreign Cultural Relations (Institut für Auslandsbeziehungen – ifa). The German contribution is realized on behalf of the Federal Foreign Office and in cooperation with the Institute for Foreign Cultural Relations (Institut für Auslandsbeziehungen – ifa). 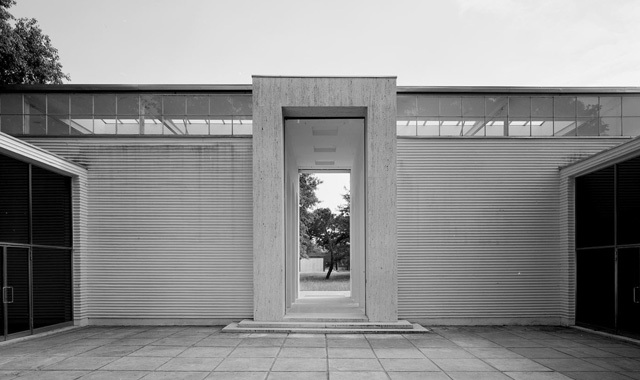 The Goethe-Institut and the ifa Freunde des Deutschen Pavillon / Biennale Venedig e.V. support the German Pavilion. The Sparkassen-Kulturfonds of the German Savings Banks Association is main sponsor of the German Pavilion at the 55th International Art Exhibition—La Biennale di Venezia. For adults, it is not so easy to answer this question. While children naturally identify themselves in multiple ways, adults are often expected to give an explicit answer: identity. Compared to the 1990s, this term is not so omnipresent anymore, but still, most people assume that they should have one. This can be experienced particularly if one criticizes the theoretical significance of this term or if one makes the plain statement: I do not need an identity. This provokes a lack of understanding, especially when it comes to terms of cultural, ethnic, or national identity; interestingly enough, this happens even in sophisticated circles being critical of contemporary culture. In regard to the questions of globalization, immigration, and diversity, one could use similar arguments for a cultural critique (Kulturkritik) as Michel Foucault once did for political theory—in this matter, says Foucault, the head of the king has not yet fallen. Within the terms of a cultural critique, this head is the concept of cultural identity. At conferences or art events, all participants regularly agree on the fact that there can be no such thing as completed cultures. But in the following, often quite simple, explanations about influences and mixing, the just-criticized idea of completed cultures reemerges quickly. All appeals of multiple and hybrid identities can in effect change little: alone the usage of the term identity involuntarily leads to an objectification. And when finally drinks are served in an air of informality, and conversation turns to everyday matters of life, one can often listen to the plain clichés of “us” and “them.” For instance, “we” have been culturally “enriched” by immigrants, i.e. the “others,” but they also have and cause a lot of problems because they refuse to become integrated. Already in 1997, Homi Bhabha posed the polemic question: “Post-this, post-that, but why never post-the-other?” This remark is still valid 15 years later. For decades, multiculturalism, diversity, and interculturality have been discussed in society. The cultural critique has dealt with “French theory,” with “différance” and “différend,” with the “rhizome” and “becoming” for just as long. And in globalized art, postcolonial spaces, the “poetics of relationships” and “radicant aesthetics” have been discussed. Already in the beginning of the 1990s, Jean-François Lyotard made fun of “Marie in Japan”: “The difference, alterity, multiculturalism. That is her Dada”. Accordingly, some critics do not want to listen to this anymore. They believe that, especially in art, matters of globalization and diversity have come to an end. But what really seem to be outdated are simple acts of rejection against homogeneity and a romanticism of transgression, diasporic, and nomad attitudes. However, the question of multiplicity is one of the most important in the twenty-first century. For the continuous debate about a subject—the Dada—does not ensure that we inhabit this discussed world. Obtrusively, the ghosts of national clichés haunt us, just as those thinking in closed cultural entities (Kulturkreise) and the exclusion of the “others.” Without a doubt these concepts do not stand in the center of power anymore, but even as ghosts they can develop a quite painful effect. This refers not only to the rampant excrescent of populism, which in a kind of utopian-nostalgic turn longs for a past in which national belonging reputedly still counted. In a qualitative survey, the ethnologist Jens Schneider discovered for Germany that the elites (politicians, people engaged in the field of culture and media, etc.) hold up a traditional and utmost shallow term of “being German.” It is defined by secondary virtues like punctuality and orderliness on the one hand and by quasi-romantic ideas of “German depth” on the other. However, these self-attributions prove to be incompatible with the increasingly globalized, own experiences of everyday life: all participants declared that, yes, this is exactly what “being German” means, but I as a German am actually not so. Apparently, this is quite a paradox, a “dis-arranged” situation that can be observed in nearly all European nations. The entity of the nation state is under pressure—from “above” due to the growing influence of large organizations like the European Union and the power of international markets, and from “below” due to migration and the globalization of everyday life. But the pressure also comes from inside due to the perplexity of its citizens. When in France the conservative minister of “immigration and national identity” in a participative debate wanted to know what the addition “national identity” in the name of his ministry actually meant, most of the addressed people showed little interest and did not reply. What does this mean for arts and culture? One could say that it was exactly the field of arts that has long since solved this problem. For in the last decades, it has become international, transitional, and diverse in a manner unknown before. Its protagonists and audiences are nomadic; they come from everywhere and trot in zigzag patterns over the Biennales of the globe. Admittedly, this remark could be made: the nation state is still the framework for the majority of art institutions—regardless of the manner in which the program is arranged. And on closer inspection, the nomadic subjects nearly all prove to be well-off or middle-class intellectuals—on the side of art production as well as on the side of consumption. This group of people may be quite mobile and its composition may have widened, but their living conditions and networks are homogenous (and some stay actively so). The circle of friends are rarely divers, the same can be said about living quarters, and the children visit schools which may be international, but hardly represent the multiplicity of an immigrant society. Currently, such paradoxical matters within the cultural sphere can hardly be avoided, but they could be, literally, unfolded. Several institutions have started to question their own preconditions to come to a new orientation. Recently, an evaluating study of the London Tate showed that quite a few mistakes have been made in regard to “cultural diversity.”Generally speaking, special programs in the field of education with ethnic targeting had been issued. These programs were not only ignored, but actively rejected by so-called members of these minority groups. The people in question are neither interested in the representation of “their” ethnic identity, nor in a simple “postcolonial” revision of a history of arts regarding their provenance. Quite plainly, they are interested in “more complex accounts of visual culture and meaning-making.” Even though research and arts have often dealt with the fluid and performative aspects of ethnicity, handling of this frequently remains very rigid and stereotyped in curatorial practice, at least when it does not deal with the abstract global dimensions, which Lyotard so cynically described as “their Dada,” but gives attention to the shabbiness and depths of local diversity. For most people, ethnicity and provenance doubtlessly play a role, but they are positioned in an individual frame of reference. Thus, the curatorial practice has to deal with narratives of a complex mixture; they are subjective, collective, and circulate globally assessable through the media. In this mélange, identity is not only the wrong starting point—even identification seems difficult to perform. Stuart Hall mentioned this already in 1991 in his interpretation of the film My Beautiful Laundrette by Hanif Kureishi and Stephen Frears: “This is a text that nobody likes. Everybody hates it. You go to it looking for what are called ‘positive images’ and there are none. There aren’t any positive images like that with whom one can, in a simple way, identify. (…) It has a politics which is grounded on the complexity of identifications which are at work.” In 2008, the Australian writer Christos Tsiolkas published a successful book titled The Slap. This book links up with Hall’s words and has effectively brought the complexity of approaches up to date. The publicly exerted slap in the face of a child at a party initiates a conflicting field of interpretations and evaluations, in which all persons draw on different resources, stories, and references. To the reader, simple identifications are practically impossible, while at the same time it becomes obvious how difficult and hard to calculate current negotiation processes appear in society. How can the points of reference of cultural production be newly adjusted? Ivo Kuyl from the Koninklijke Vlaamse Schouwburg (KVS) has recently described how this theater thoroughly analyzed its own environment and as a result actively shifted its reference from the category nation to something like “urbanity.” The term urbanity expresses how current involvements come together—and the term is by no means only suitable for big cities. The theater Ballhaus Naunynstrasse, which opened in 2008 in Berlin, refers to its own productions as “post-migrant.” Besides urbanity, this term is quite attractive as a further point of reference. Post-migrant means that migration has already happened—“post-the-other”—and that any cultural articulation naturally is a consequence of this, a junction of transnational, connecting lines. Furthermore, the term post-migrant creates a Continental European point of reference beyond the frame of “post-colonialism”: In regard to multiplicity, in Germany and in many other parts of Europe it is often not a question of colonial subjects reemerging in the process of migration, but rather a matter of an intricate history of striving for expansion, zones of influence, semi-dependencies, movement of population, and forced displacement. This new system of coordinates reproduces the normality of multiplicity. But what does post-migrant urbanity mean specifically? Without a doubt, cities have always been places of transit, junctions in an international texture. The situation appears only to be new against the background of the post-war decades after the Second World War, in which the focus lay on calculable settledness. Yet there are a number of people whose status cannot be defined unequivocally due to political-economic reasons. In today’s cities, “foreigners” live with an extraordinary duration of stay; “commuters,” staying on average for half a year; “tolerated persons,” whose perspective to stay is deemed half a year even after a decade of living there; “persons without documents,” having entered the country as tourists and whose existence is being completely obscured by official statistics. One can find numerous students from other countries, staying for a certain time in a city; expatriates of every kind, having come to a certain city because of work, love, or a new perspective of life; owners of secondary residencies, whose families live in another town; or tourists who penetrate the texture of the city in an unprecedented way with their repeated weekend trips and knowledge of the local scene. These groups of people all represent a “present absence”—they are there, but for the same amount of time they are also at another place. This new ambiguity has completely changed the relationship of proximity and distance, but also of neighborhood. Thus, there are spaces in cities that, in their activity, only correspond loosely with their direct surroundings. English is the common language in branches of international firms, the range of communication is global, and the employees come from many different countries and in near future may be transferred to another location. These mobilized spaces within a city find their corresponding ones abroad. Geographically, huge distances lie between them, but nonetheless they work just like a neighborhood. Many migrant laborers who originally wanted to go abroad for only “one or two years” settled down after all. At the same time, they built houses in their home countries or purchased properties—without returning. In Morocco for instance, whole districts exist which in summer fill with expatriates. Even if migrants have no property in their home countries, they still inhabit a familiar space that spans networks across national borders. In a similar but yet quite different manner, tourists and retired expatriates purchase houses or flats in great numbers in the sunny European periphery such as Spain. There they inhabit residential areas which function as veritable parallel societies and which have only loose connections to their physical neighborhoods. They rather seem to be invisible suburbs of West-European cities. Additionally, one has to mention the “post-migrant” demographic change. Contrary to other European countries, the Federal Republic of Germany clung to the fiction of a homogenous nation state until 1998. But since the Federal Statistical Office compiles data on the criterion “migration background” it has been acknowledged that in the cities, children with a migration background have become the majority in the age group below 6 years. In Frankfurt on Main, currently 67 percent of that age group have at least one parent who themselves immigrated to the Federal Republic of Germany. Additionally, the patterns of present-day migration have changed: for quite awhile already, immigrants do not only come through a contractual recruitment of workers for the lower jobs—migration nowadays has become difficult to control and takes place in all segments of the employment market with strongly differing timeframes. The city has become a multi-faceted “parapolis.”  The word describes the ambiguous, more or less illegitimate para-version of the term polis. Moreover, the modern Greek adjective para poli is hidden in it, meaning “very much.” One could thus speak of a place of the “very much,” a place of abundance. A culture of the parapolis needs a perspective that is guided by the “in-between-awareness,” which the architect Aldo van Eyck defined as a sensorium for thresholds, movement, and ambiguities. All political approaches directed to shape the parapolis have to emanate from the multiplicity of the people in urban space. This means a programmatic commitment especially by the institutional sector in regard to interculture. However, an intercultural program should not repeat the mistakes of multiculturalism and engage with promoting identity. It should deal with a common change, with creating a new intellectual space. This change also sustainably challenges the authority of artists and art institutions. The current interest in practices of complicity and collaboration in art is connected to the necessity of a “dialogical aesthetics” (Grant H. Kester), which stands in permanent negotiation with multiplicity. The already mentioned survey of the Tate states that the museum has “a highly limited and restricted knowledge of its audiences.” In the parapolis, this knowledge can only be acquired if the readiness to cooperate with the audience exists. Art can be understood as means to create a space that serves as a laboratory for unconventional thinking and design in collaborative forms. In this case, the process stands in front of the result. This experimenting again can have repercussions on the perception of community, for the nation state, even though it is under pressure, will hardly disappear in the foreseeable future. Because of that it is not possible to simply negate its own “being German.” Paradoxically, a pragmatic, inclusive, transnational term of national belonging is needed. With a “cosmopolitan imagination,” art can contribute to this. The concept of the German pavilion of this year tries to unfold this paradox. The national container moves from its own to another national container, to also demonstrate that the turbulences of the national principle are similar to each other in different countries. And the national container gets a new filling which meets the requirements of Germany as a junction of cross-border connection lines. The exhibiting artists share nothing but the fact that they have worked in Germany. Thus, they belong to our space of present absences. Together, their works and procedures form something like a tableau of the described complexity of the parapolis—this confusion of the relationships between proximity and distance as well as the difficulties of identification. In her approach to Go Away Closer, Dayanita Singh shows an internationalized privacy, which lets the Indian family life—apparently far away for Europeans—appear very familiar and at the same time it recedes into the distance the longer you watch. The documentary approach of Santu Mofokeng is also characterized by a disturbing mixture of distance and condolence. The residents of the West can comprehend this approach, which lets the medium, the camera, become noticeable, for instance when French troops intervene militarily in Mali. The scene of action is unreachable yet present and demands participation. The figures Romuald Karmakar is interested in are mostly perpetrators: warriors, murderers, participants of genocide, preachers of hate. Instead of addressing the omnipresent “culture of the wound” (Mark Seltzer), the traumas of the victims, Karmakar occupies himself with the question of responsibility with the help of highly unpleasant examples and without moral appeal. In turn, Karmakar fetches the apparent distance into immediate proximity and nonetheless lets distance develop again. Finally, Ai Weiwei plays with belonging: now, is he part of our art scene or not? He escapes modernity as well as tradition and queries both. These artists have in common that they newly adjust the normal relationships of proximity and distance, establish peculiar vicinities, and prevent simple identifications. Homi Bhabha described hybridity as a “subject of difference, which is almost, but not totally the same,” i.e. less than one and double. This paradox version of hybridity nowadays inhabits the national container, which again is not in itself anymore. The participants were mostly far from being underprivileged, but they underwent enormous disruptions in the continuance of experiences through migration as well as through episodes of poverty, status problems, marginalization, racism, etc. Many of these artists produced an art which receded from the traditional visual objects and likewise from the idea of an artistic subject which brings forth meaning out of its inner self. The process as well as a democratic activation of the classic, passive audience stood in the foreground. In the optimistic search for an abstract, non-representative “language of movement” (Guy Brett), matters of identity evidently played no role. However, a sensibility for plural contexts did exist and the borders of form were overcome quite naturally, maybe as a result of a biography-based absence of ideas of purity. All these characteristics were not deemed to be revolutionary. Already at that time they were part of a new normality. Doubtlessly, migration i.e. mobility has had an enormous effect on the production of culture. The architect and musician Iannis Xenakis, to whom the nostalgic reversion to a lost home is an alien concept, described migration as antidote to the “pitfall of memory”: “C´est à dire qu´il faut cultiver constamment le regard neuf. C´est à dire la distanciation. Il faut être constamment un immigré. Dans tout. Alors lá, on voit les choses d´un oeil beaucoup plus frais, beaucoup plus augu, et beaucoup plus profond. Parce qu´on n´est pas rassuré par l´environnement dans lequel on se trouve, dans lequel on baigne. Sinon, on le voit plus. Ce sont des meubles. Tout devient mobilier.” This quote was not made to underline a vulgar post-modern idea of nomadism. There is nothing to romanticize in Xenakis’s story. He was no privileged expatriate; as a fighter of the communist resistance in Greece he carried away nearly lethal wounds, came to France on a trawler, and for years lived there as a stateless person without a passport. But in the light of a society in movement, without a doubt those experiences are still relevant which do not focus on swimming in an alleged own culture, but which propagate a kinesis of culture as a universal basis. Movement and search indeed belong to the origin myths of Western society. It is known that the Odyssey is seen as one of the texts in which for the first time something like the Western idea of the freedom of individuals briefly appears. While most people in the Iliad, perhaps apart from Achilles, act rather stiffly and are mere pawns in the intrigues and insinuations of the gods, the main character Odysseus comes to most decisions on his own. Actually, this is quite a different Odysseus—the protagonist of the Odyssey manages with patience, flexibility, and cunning, while in the Iliad he uses blunt force ruthlessly. In the Odysseyhe is not on a conquering expedition, but, like the Argonauts, is on a seemingly endless return back home. When he finally reaches Ithaca, once again transformation takes place—and violence returns. At the home of his wife he encounters suitors who thought him dead and, by marrying Penelope, wished to become king in his stead. And amongst these suitors he then perpetrates a bloody massacre. Contrary to general belief, being at home is accompanied by violence—with the violence of expansion on the one hand and the violence of inner cleansing on the other. It is the so often conjured identity, which in the act of its creation inevitably demands a violent frame. Identity is not at all something that humans as individuals or in groups need to survive, in anthropological terms. It rather is a gluttonous-monstrous construction that craves for incorporation. The rejection of the concept of identity certainly does not go along with the assertion that human existence can do perfectly without an idea of home. Civility is a result of the searching for home, in a permanent approach. As Xenakis stated, we all are immigrants, on a totally unromantic scale. The idea of freedom worded in the Odyssey can only be thought of as one in motion; mobility here is not at all a deviation from settledness, but on the one hand it is a normal condition, and on the other it is a necessary precondition for subjectivity. The path does not normatively lead from the multiple identifications of childhood to an adult identity. In this search, the multiplicity of identifications rather remains preserved. The ambiguity of subjectivity is ineluctable and in turn corresponds with the normality of life in the multi-faceted parapolis. And art can be a laboratory to negotiate the forms of living together, in which we, despite all differences, have particularly one thing in common: our future. 1 Homi Bhabha: Editor’s introduction: Minority maneuvres and unsettled negotiations, in: Critical Inquiry 23 (Spring 1997), S. 433. 2 Jean-François Lyotard: Marie in Japan, in: Postmoderne Moralitäten., Wien: Passagen 1998, S. 15. 3 Vgl. Jens Schneider: Deutsch-Sein. Das Eigene, das Fremde und die Vergangenheit im Selbstbild des vereinten Deutschland, Frankfurt am Main 2001. 4 Vgl. Andrew Dewney, David Dibosa & Victoria Walsh: Britishness and visual culture, London: Tate Encounters 2011. 6 Stuart Hall: Old and new ethnicities, in: Anthony D. Kind (Ed. ): Culture, globalization and the world-system, Basingstoke: Palgrave McMillan 1991, S.60. 7 Christos Tsiolkas: The Slap, Crows Nest: Allen & Unwin Pty 2008. 8 Vgl. Ivo Kuyl: Theater zwischen Stadt und Welt: Ein Beispiel aus Brüssel, http://www.dramaturgische- gesellschaft.de/wordpress/wp-content/themes/paalam/jahrestag.php?item=57, letzter Zugriff 05.02.2013. 9 Vgl. Tom Holert & Mark Terkessidis: Fliehkraft – Gesellschaft in Bewegung. von Migranten und Touristen, Köln 2006. 10 Vgl. Aldo van Eyck: The child, the city, the artist. An essay on architecture. The in-between realm, in: Ders. : Writings. The Child, the City and the Artist. Collected Articles and Other Writings 1947-1998, Amsterdam: Sun Publishers 2008, S. 53 ff. 11 vgl. Claire Bishop: Artificial hells. Participatory art and the politics of spectatorship, London / New York: Verso 2012. 12 Vgl. Grant H. Kester: Conversation Pieces. Community and Communication in Modern Art, Berkeley: University of California Press 2004; und Ders. : The one and the many. Contemporary collaborative art in a global context, Durham and Lodon: Duke University Press 2011. 13 Andrew Dewney et al., op cit., S.16. 14 Vgl. Marsha Meskimmon: Contemporary art and the cosmopolitan imagination, London and New York: Routledge 2011. 15 Vgl. Seltzer, Mark, Wound Culture: Trauma in Pathological Public Sphere, in: October 80, Sping 1997. 16 Vgl. Homi K. Bhabha: Die Verortung der Kultur, Tübingen: Satuffenburg 2000, S. 126ff. 17 Autobiographie et pensées de TAKIS, Paris: Art Inprogress éditions 2007, S.17. 18 Vgl. Guy Brett: Kinetic art. The language of movement, London: Studio Vista 1968. 19 Vgl. Mark Terkessidis: Kinetische Kultur. Über die höchst universalisierbaren und überraschend aktuellen Erfahrungen einiger griechischer Schiffsreisender in der Mitte des 20. Jahrhunderts, in: Kritische Berichte, Jg. 368, Nr. 4, 2011. Mark Terkessidis is a journalist and author whose work focuses on popular culture, racism, and migration. His book “Interkultur” came out in 2010. The text National Turbulences. Unromantic Reflections on Post-Migrant Urbanity and Art Production is included in the foreword to the official publication accompanying the exhibition of the German Pavilion at the 2013 Biennale di Venezia. The Pavilion of Georgia at the 55th International Art Exhibition – la Biennale di Venezia will be a parasitic extension to an old building in the Arsenale. This informal structure called a “kamikaze loggia”—characteristic of Tbilisi—will be designed by the artist Gio Sumbadze, who is a researcher of the typology of these architectural additions. 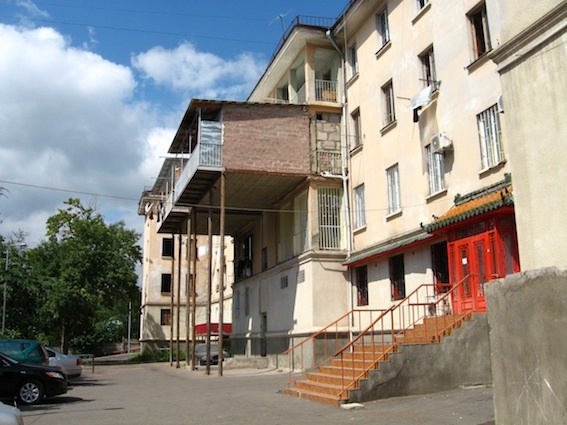 Vernacular extensions of modernist buildings have been created since the 1990s as an organic response to the new, “lawless” times after the fall of the Soviet Union. They increase the living space and are usually used as terraces, extra rooms, open refrigerators, or—as in Sumbadze’s case— an artist studio. It is said that a Russian journalist named them “kamikaze”, drawing a parallel between the romantic and suicidal character of such an endeavour and the typical ending of most Georgian family names “-adze”. This architecture also refers back to the local palimpsestic building technique, which since the Middle Ages has allowed new houses to be built on top of existing ones on the steep slopes of the Caucasus Mountains thus not monumentalising the past but expanding on it for the future. provisional liberty, local self-determination and contemporary appropriation of the infrastructural legacy of Soviet master plans. The exhibition aims at presenting the extraordinary range of informality, bottom-up solutions and the concept of self-organization in Georgian art and architecture. Looking at local examples of self-initiated environments—e. g. kamikaze loggias, “euroremonts”, “beautifications” or other modifications of the Soviet heritage—the project will seek to examine their anticipatory and often progressive potential. It will cast a critical look at the social, political and ideological discourses of the last twenty years in Georgia — thus introducing an artistic scene of a country that sometimes is described as “Italy gone Marxist”. and Gela Patashuri with Ei Arakawa and Sergei Tcherepnin. Supported and funded by the Ministry of Culture and Monument Protection of Georgia.